…and no, we’re not talking about cherry trees or wooden teeth. When George Washington’s father died in 1743, there was little money left to support the formal education of 11-year-old George. 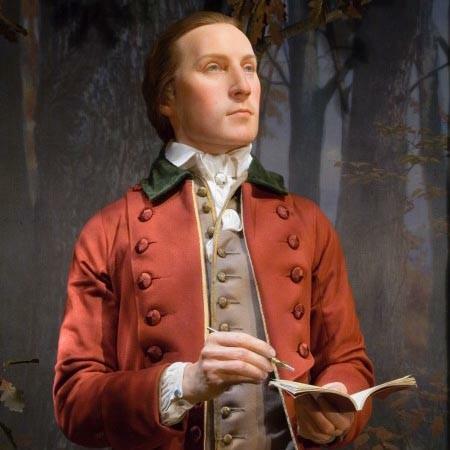 Washington’s formal schooling ended by the time he was 15, but his pursuit of knowledge continued throughout his life. He read to become a better soldier, farmer, and president; he corresponded with authors and friends in America and Europe; and he exchanged ideas that fed the ongoing agricultural, social, and political revolutions of his day. After a series of stinging defeats in New York and New Jersey, the Continental Army and the patriot cause seemed near extinction by December 1776. Most generals would have slipped away to the safety of winter quarters, but Gen. Washington had an entirely different plan in mind. His bold counterstroke across the ice-choked Delaware River on December 25, 1776 led to three successive battlefield victories and a stunning strategic reversal which bolstered American morale and saved the new nation. With the Revolution once again on the brink of defeat in early 1781, Washington embarked on a risky march south to surround and attack Lord Cornwallis’ British army at Yorktown, Virginia. 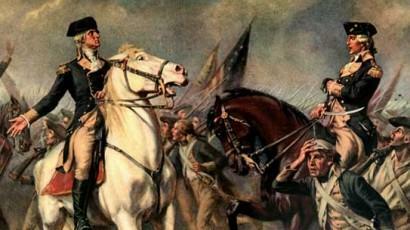 Washington’s victory at Yorktown in October 1781 proved to be the decisive battle of the war. While Washington is best known for the positions he held, both as a general and president, it is his willingness to surrender power that may be his most important legacy. On December 23, 1783, Washington strode into the Maryland State House in Annapolis and surrendered his military commission to Congress – thereby affirming the principle of civilian control of the military. 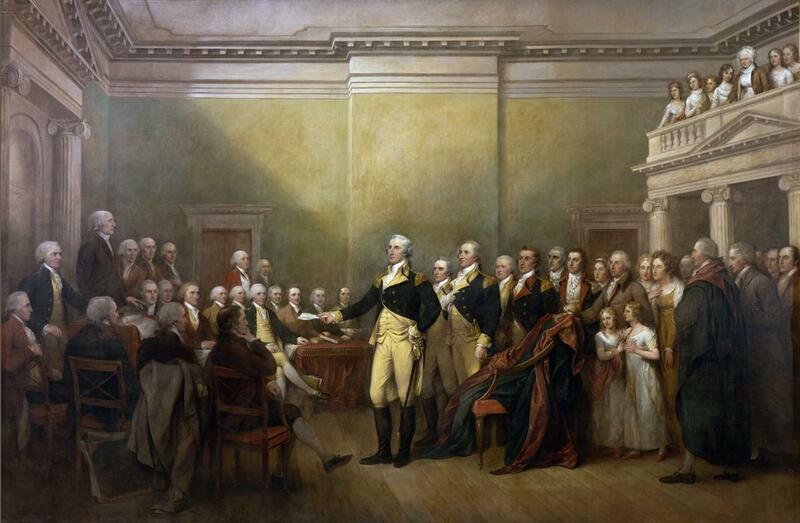 When King George III heard that Washington would surrender his commission, he reportedly said that if "He did [this] He would be the greatest man in the world." As president, in a time when there were no term limits and many would have supported a lifetime role, Washington stepped down as president after the end of his second term – setting an important precedent that lasted until the middle of the 20th century. Some have claimed that George Washington was the richest president in American history. Washington owned more than 50,000 acres in the western portions of Virginia and what is now West Virginia, as well as in Maryland, Pennsylvania, New York, Kentucky, and the Ohio country. 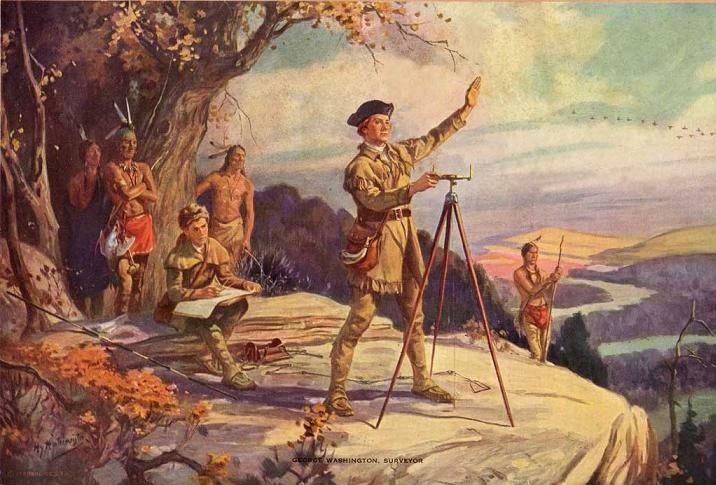 Long before Lewis and Clark set forth on their journey westward, Washington had a keen appreciation for how an expansion into western territory would not only enrich the new nation, but also help to better knit the country together. By linking the headwaters of the west-flowing Ohio and the east-flowing Potomac, Washington envisioned a continental transportation system that would allow the future produce of the Ohio Valley to flow easily to Atlantic ports. Even Washington’s choice placing the national capital along the banks of the Potomac was designed to reinforce this westward-looking view. Many see Washington as a stoic and unapproachable figure, but in reality he was a man who loved entertainment and the company of others. There are many accounts of his dancing late into the night at various balls, cotillions, and parties. He loved theater and attended plays of all sorts throughout his life. And during a time where stiff 18th-century formality pervaded relations between the sexes, Washington was known as an interested and engaged communicator with women. How Much Do You Know About Washington? "First in war, first in peace, and first in the hearts of his countrymen." 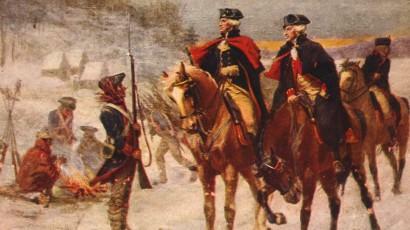 Learn even more about George Washington. During the American Revolution, George Washington witnessed firsthand the serious shortcomings of the Articles of Confederation. 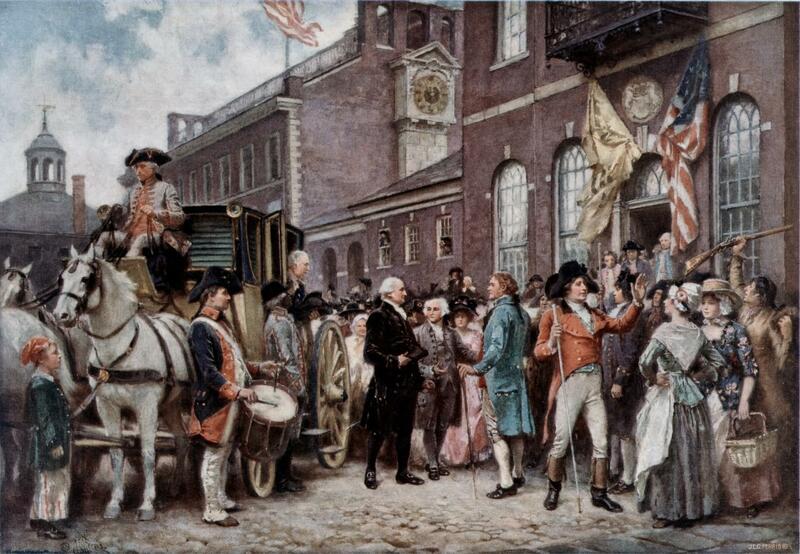 In 1787, Washington traveled to Philadelphia to attend a convention assembled to recommend changes to the Confederation. He was unanimously chosen to preside over the Constitutional Convention, a job that took four months. He spoke very little in the convention, but few delegates were more determined to devise a government endowed with real energy and authority. And as the president of the convention, Washington was given the privilege of being the first to add his name to this governing document. Washington’s leadership during the Revolution and Constitutional Convention, unimpeachable character, and his demonstrated willingness not to abuse power, made him the ideal presidential candidate. Even his lack of biological children eliminated the concerns of some who worried about the establishment of an American monarchy. 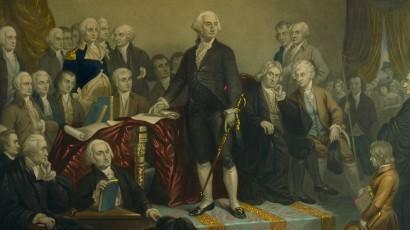 During the first election in 1789, Washington won the electors of all ten eligible states. 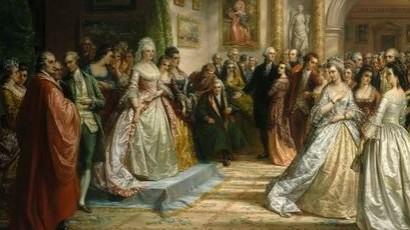 In 1792, Washington received all 132 electoral votes, winning each of the fifteen states. Throughout his life, Washington exhibited a keen interest and eye for useful technologies of all sorts. He established himself as an innovative farmer, who switched from tobacco to wheat as his main cash crop in the 1760s. In an effort to improve his farming operation, he diligently experimented with new crops, fertilizers, crop rotation, tools, and livestock breeding. Leveraging a fine donkey sent to him as a gift from the King of Spain, Washington became one of the foremost breeders and promoters of the American mule. As president, Washington signed the patent for a new automated mill technology. Intrigued by the design, Washington had the Oliver Evans automated mill technology installed in his gristmill. He also found time to design a new 16-sided, two-story threshing barn that greatly improved the process of separating wheat from chaff. 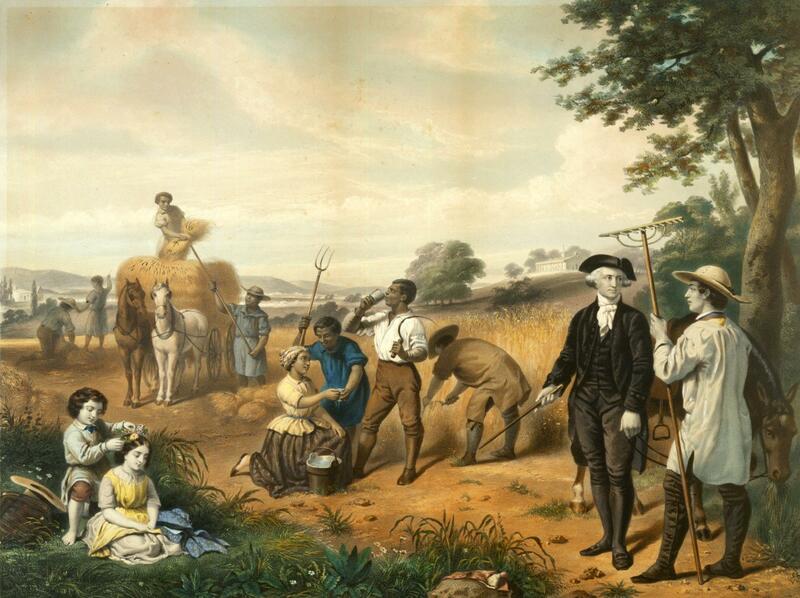 George Washington inherited his first slaves when he was 11 years old. Washington’s attitude toward slavery gradually changed as he grew older and especially as he fought for liberty in the American Revolution. 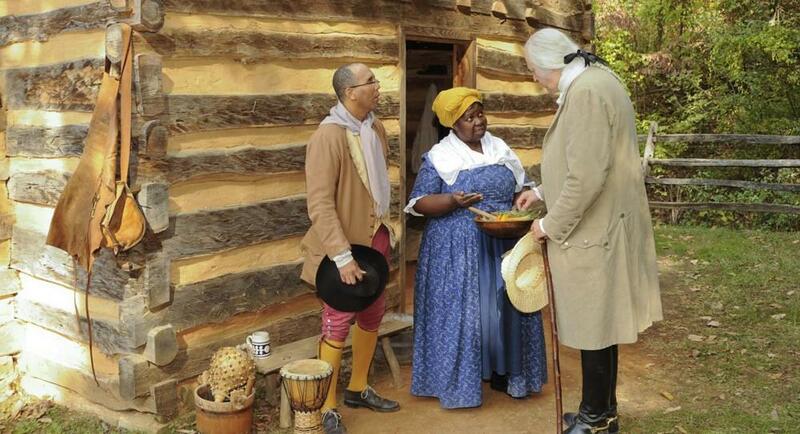 In his will, he arranged to free those slaves belonging to him upon his wife’s death (about 123) and, as was required by law, his estate paid for the care of former Mount Vernon slaves for decades after his death. Washington is the only slave-owning president who freed all of his slaves. What Does Washington Mean to You? How have Washington's sacrifices and leadership impacted your life? Send us your story or vote on the stories you like best.